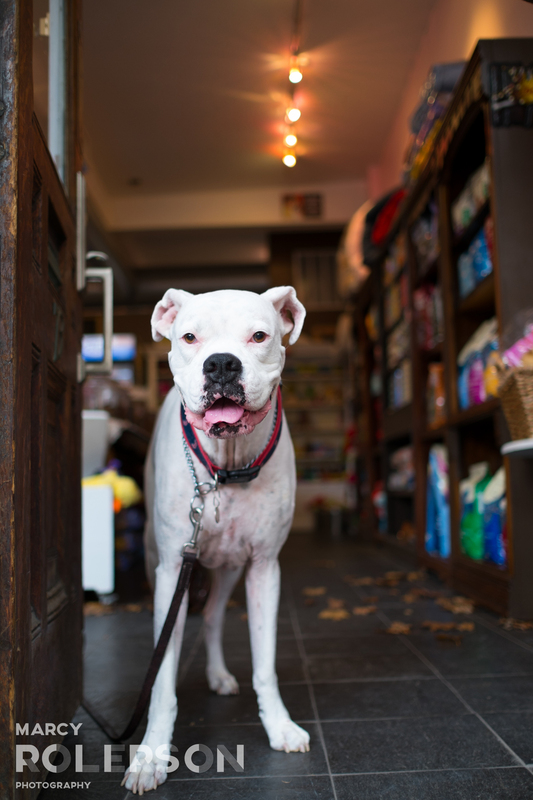 I recently spent a warm fall afternoon wandering the South End with Riggsby and realized that an adorable white boxer just might be the most uniting force in the universe. We could not walk more than maybe 3 steps ever without someone stopping to say hi either because he's so cute or because they know him from somewhere - this dog is seriously popular. We popped over to the garden for some duck-watching, leaf-playing and children-greeting before ending the night on his people's rooftop, with Mr. Rigglesworth snuggled on a soft bed in a festive bandana.